Add fun and elegance to your time view experience by bringing home this exceptionally designed Howard Miller Kegan Antique Pewter Alarm. 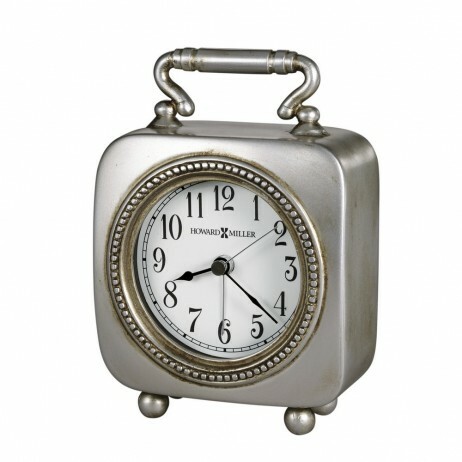 This square, carriage-style alarm clock with handle features an antique pewter finish on an all metal case. 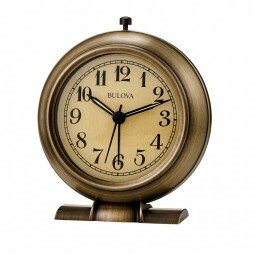 Slightly rubbed off bronze accents adds an older look to this new clock. A detailed beaded frame encircles the dial. Round button feet add a charming detail. The white dial offers black Arabic numerals and black hands, with silver second and alarm hands. Quartz movement with crescendo alarm includes the battery. This square, carriage-style analog alarm clock with handle features an antique pewter finish. A detailed beaded frame encircles the dial. Round button feet add a charming detail. The dial is illuminated with a soft back light that creates a continuous glow in the darkness. The dial light is powered by an AC adapter, which is included. The white dial offers black Arabic numerals and black hands, with silver second and alarm hands. Quartz movement with crescendo alarm includes the battery. 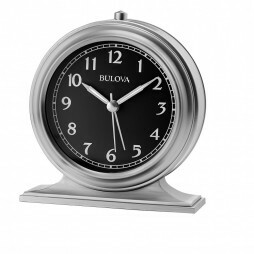 Designed in a classic 1920’s style, the Benjamin Beside Alarm Clock Satin Silver will add distinction to any bedroom. 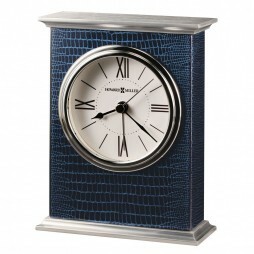 This bedside timepiece features a solid metal case with a shatter resistant protective glass lens, a black dial with Arabic numerals and contrasting silver tone hands. The top alarm shut off button silences the loud, ascending four beep electronic alarm. 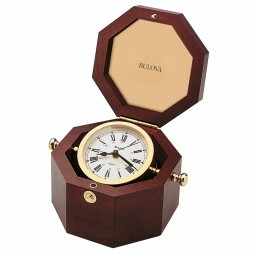 The Quartermaster Wood/Brass Table Nautical Alarm Clock reflects a maritime theme with its’ octagon shaped solid wood chest (mahogany finish) and polished brass case. The suspended gimbal clock adjusts for easy viewing. And the beep alarm will keep you on schedule.